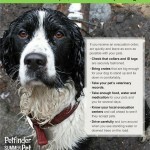 Summer Pet Safety - Petfinder Members. 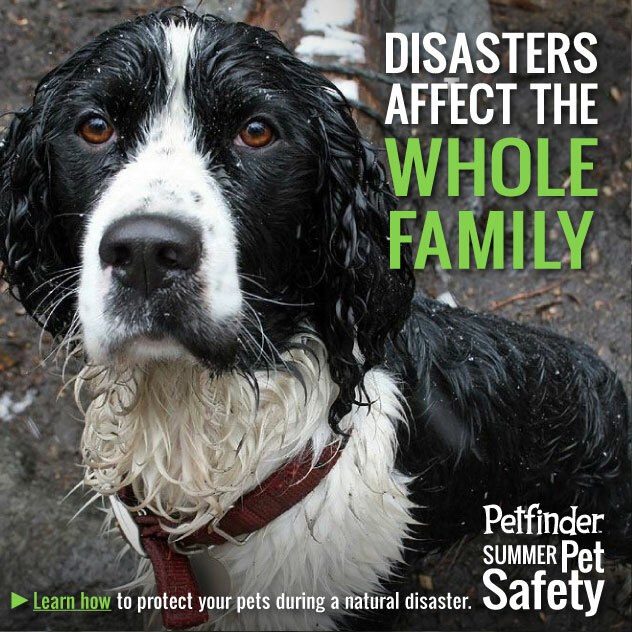 Join us in our Summer Pet Safety campaign and help keep pets in your community safe this summer by providing on-going, easy-to-remember tips for pet parents, warnings about the most common summer hazards — including disaster preparedness — and distributable materials for anyone to take and use to spread the word. 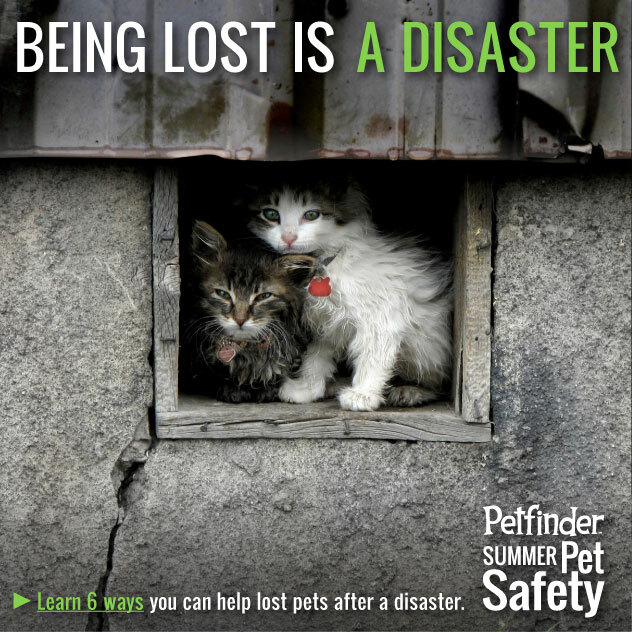 Getting involved is easy and we have 3 quick and effective tools for you to use to promote summer pet safety in your communities – online and off! Infographics Click here to view our full infographic gallery! Click on the image to share the downloadable infographics with your followers and fans. 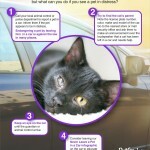 Use the infographics to quickly share pet summer safety tips and facts! 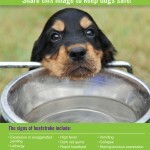 Badges– Scroll down to download or embed Summer Pet Safety badges to add to your page or site. 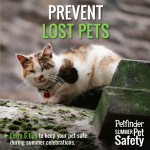 Use the badges to promote summer pet safety awareness and direct your fans to helpful related resources. 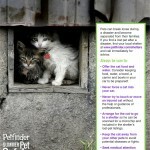 Press Release– Download or copy/paste the press release created especially for Petfinder members! Simply add your group’s information to the release and send to your newspapers, magazines, radio stations and more. 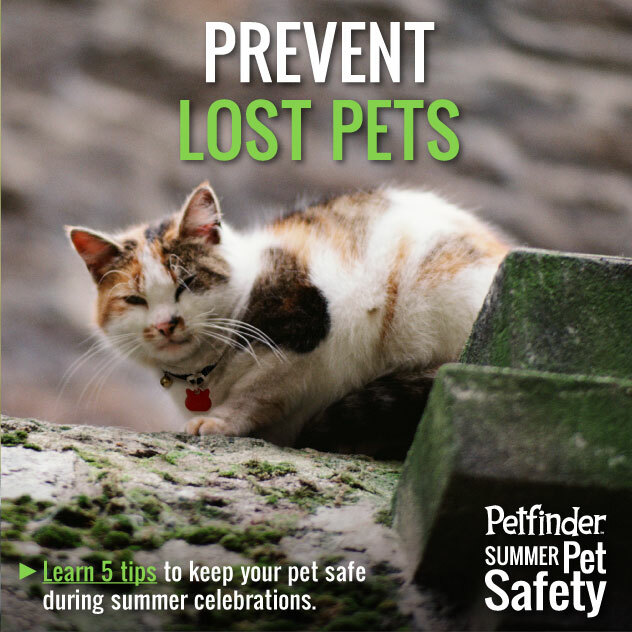 Share these materials to reach pet parents far and wide and help the pets in your local community have a fun and safe summer! Visit our gallery to view and download infographics to share with your followers and fans! Hot Cars Can Kill! Click to download and share this badge or embed on your site or blog using the code below. Being Lost is a Disaster! Click to download and share this badge or embed on your site or blog using the code below. Protect Pets from Heatstroke! Click to download and share this badge or embed on your site or blog using the code below. 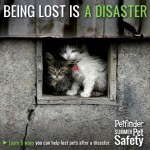 Prevent Lost Pets! Click to download and share this badge or embed on your site or blog using the code below. 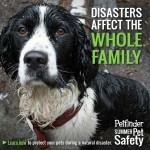 Disasters Affect the Whole Family! Click to download and share this badge or embed on your site or blog using the code below. 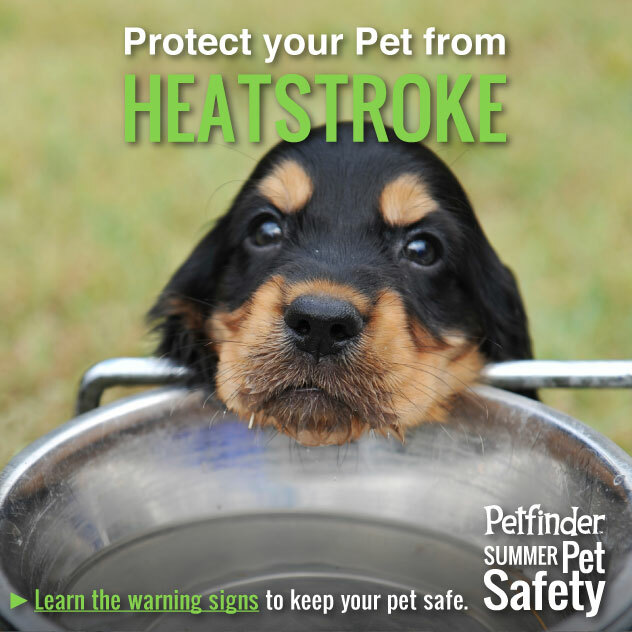 Summer brings about hotter temperatures, outdoor fun and family trips – but for pets, it could also bring about safety hazards unbeknownst to pet parents. 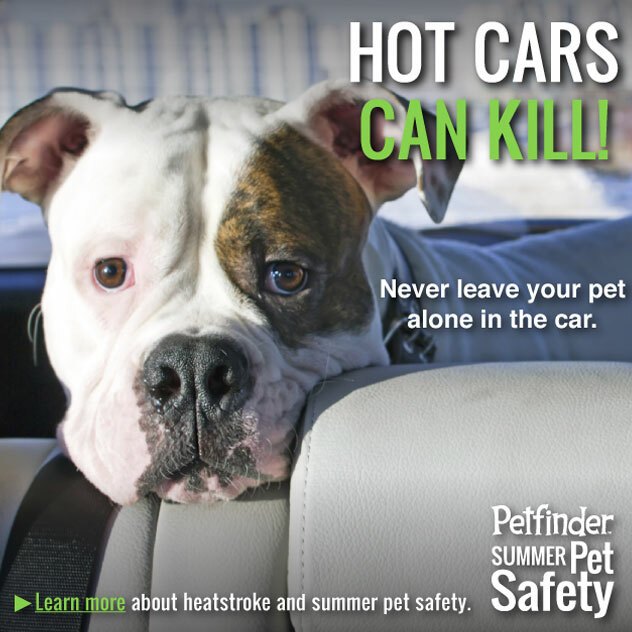 This summer, [NAME OF YOUR ORGANIZATION GOES HERE] is partnering with Petfinder in a Summer Pet Safety campaign to ensure all pet parents are equipped with the proper information to keep their furry friends cool, happy and safe throughout the summer. [YOUR ORGANIZATION NAME HERE] will be sharing these graphics and tips for keeping pets safe all summer. Make sure to follow them on Facebook [ENTER YOUR FACEBOOK ADDRESS HERE] to get possibly life-saving summer safety tips, advice for having fun with your pets this summer and more.